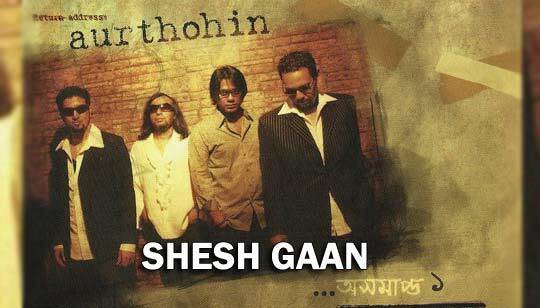 Shesh Gaan Lyrics by Aurthohin Bangla Band: Presenting Sesh Gaan Bangla Song Lyrics from Aurthohin 5th album by the name Oshomapto 1 The song is sung by Bassbaba Sumon. Aushomapto 1 was one of the hit albums of the year 2008 and the band won Best Band Award in 2008. The Album was mixed by Fuad al Muqtadir.